The Lepines" story began in Quebec, from where Maurice and Imelda immigrated to Vermont during the Great Depression. 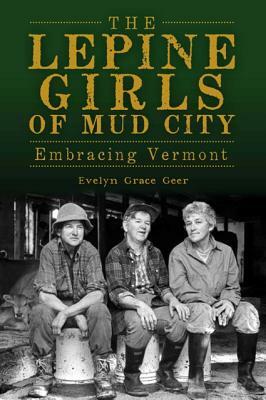 The family farmed, lived off the rich Vermont landscape and instilled a love for it in their daughters, Gert, Jeanette and Therese. As adults, "the Girls" taught school, traveled the world and worked for President Johnson but never forgot their roots. All three returned to Mount Sterling Farm, raising their famed Jersey cows and embodying Vermont's agricultural tradition. Their story is one of hope and valor--of a family who loved their home and neighbors and left their land as a lasting gift for the world.